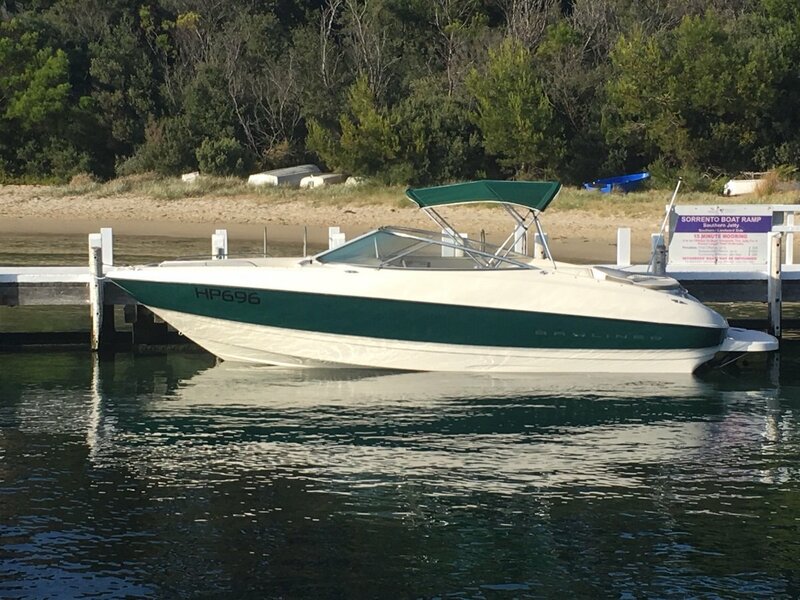 Exceptional condition Bayliner 2350 Capri Bowrider. Current owner since 2003. Repowered fuel injected Mercruiser 5.7. Maintained at the highest level with no expense spared. Extensive and full service history with new risers. Hull in excellent condition, not antifouled. Great seating arrangement with large horse shoe lounge at the stern with swivel Captains chairs making a great space to relax or entertain. Insert to make a day bed in the bow section adds to the versatility of this great family boat. Stored undercover for the winter months. Excellent day boat offering great room for all the family. Swim platform and ladder perfect for skiers and swimming from brings this girl to close to 25 feet of usable family space. Has provision for a chemical toilet which was removed for additional storage by the previous owner. Fully registered load rite trailer with twin axels, disc brakes and breakaway system in excellent condition included to compliment the sale. Would consider selling the boat without the trailer at a reduced cost. Represents excellent value for a boat of this size and volume.